Our 100 hour yoga teacher training in rishikesh, India is the best course for you if you are you a beginner and looking for a platform, where you can learn about Yoga practices, Yogic wisdom and also a chance to elope your day to day life? Do you feel ready to experience and gain acumen about Yoga in a way like never before? Looking for a love filled, serene, strong foundation, professional expertise and guidance, which can assist you learn about yoga techniques, postures, asanas, preach and practice them in your lives? Want to get some peace of mind? Seeking for some divine strength or hidden potential in you, attain self realization or find the meaning of true happiness? If any of the above scenarios fits and suits you, you are definitely at the right platform. Our offered 100 hour yoga teacher training in rishikesh, India is been an integral part of Buddha Yogpeeth. It is been devised for beginners and that could fit in everybody’s time constraint and needs. If a candidate has limited time and first wants to explore his or her learning, gather an insight about the same, how it is impacting his or her daily schedule and bringing positivity and content, it is the best to get enrolled to. 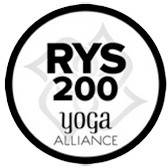 The aim of the 100 hours alliance course is to make candidates understand about Yogic lifestyle, create more awareness among them and then decide accordingly in order to stay motivated to take the same level on personal or professional aspects. At Buddha Yogpeeth, reckoned as one of the best and leading Yoga school in Rishikesh, India, our Yoga Gurus and everyone welcomes you with open arms to learn and practice Yoga and Meditation. As much as the place is heavenly in itself, we assure your stay to be that comfortable and cosy along with the powerful and strong vibrations of wisdom and traditional acumen and experience of Yogis. Irrespective of the experience, students will learn here and feel strengthened after the course and will definitely feel expanding their existing understanding of Yoga, Ayurveda and Meditation in a highly inspired environment. The 100 hour yoga teacher training in rishikesh, India course takes the wisdom and knowledge of the Gurus in order to render it theoretically, practically and spiritually, apt to understand about Yoga completely. Want to know about the course overview in 100 hours teacher training course in Himalayas. Recitation of Mantra Chant – The aim is to feel blessed with spiritual energy, generate vibrations and be connected with the universe. Yoga Asanas/Postures – The aim is to let students learn and make them aware of postures and increase their flexibility, strength and discipline. It covers asanas for beginners, knowledge about Hatha yoga, Vinyasa yoga and Ashtanga yoga. Breathing practices/Pranayama – A key for meditation, it is very important to learn and practice Yoga.Along with helping in purifying mind and body, it helps in improvising the respiratory system. Meditation – Known as a systematic practice boosting mental, physical and emotional serenity, the aim is to understand and reach self-realization stage. Yoga Nidra or Psychic sleep – Also been referred as a feeling of pure bliss.Yoga cleansing – It helps in removing the blockages in energy channels, learn how to meditate properly. Yoga philosophy – Been an important part of the course, and the key is to gain yogic strength. The course fees of 100 hour yoga teacher training in rishikesh, India at Buddha Yogpeeth will cover accommodation, daily meals and beverages, yoga material, an ayurvedic massage, weekend excursion, and sightseeing trip. Get back to us to know more or enrol for the course, and be set to be on this life transformation journey to the self. We are looking forward to hear from you!